You certainly don’t have to be an all-out bowling pro to have fun and enjoy our upcoming bowling league, but let’s be completely honest here: bowling tends to be more fun when you’re doing well. Who doesn’t want to bowl a strike, after all? There’s just nothing quite like the satisfying rush of knocking down all of those pins in one go. Well, with our latest bowling league starting pretty soon here at Lucky66 Bowl, now is your chance to refine those bowling skills and start the league off on a strong note. That’s why our blog post today is going to cover a few pointers to improve your bowling form before your score actually counts toward your league performance. Remember, Lucky66 Bowl also offers Albuquerque with sand volleyball and our signature banquet hall for bowling birthday parties and more. Questions? Get in touch with our Albuquerque bowling center today. Long-time bowling enthusiasts could probably write a novel about finding the right bowling ball, but if you’re just using one of our ‘house’ bowling balls, keep a few things in mind: the 10 percent guideline, your finger hole fit, and how much your hand stretches. You want to be comfortable when you hold and throw the ball, but a bowling ball should ideally weigh about 10 percent of your body weight. You want some weight to the ball, but it shouldn’t be so heavy that it’s uncomfortable. The finger holes shouldn’t be too small or too big, either – if they don’t fit just right, this can throw off your entire game. Additionally, don’t stretch your hand too much. You should have enough room between your hand and the ball to fit a pencil beneath your palm. Now, if you’re joining a league, you might want to consult the pro shop to get fitted for your own bowling bowl, which many consider a worthy investment. Either way, having the right bowling ball is a great start to improving your game. Not everyone can do crazy spins and curve the ball across the lane when they join their first league. So, keeping the ball straight down the lane will help you knock down more pins, secure more strikes, and avoid the dreaded ‘gutterball.’ First, keep your wrist straight on your bowling hand. Make sure to hold your hand straight while you swing the ball out and back, and keep it straight all the way through the backswing and into the release of the ball. As the ball comes forward, release it onto the lane when it reaches your ankle, keeping your hand straight and palm up the entire time. The first ball of every frame – known as your ‘strike shot,’ should be thrown from the same starting position. Consistency will help increase your chances of throwing strikes. As far as timing goes, each step of your foot should match up with a specific part of your arm swing and release. Once you get your timing down, you’ll be off to a good start. Stay Tuned For More Bowling Tips From Lucky66! 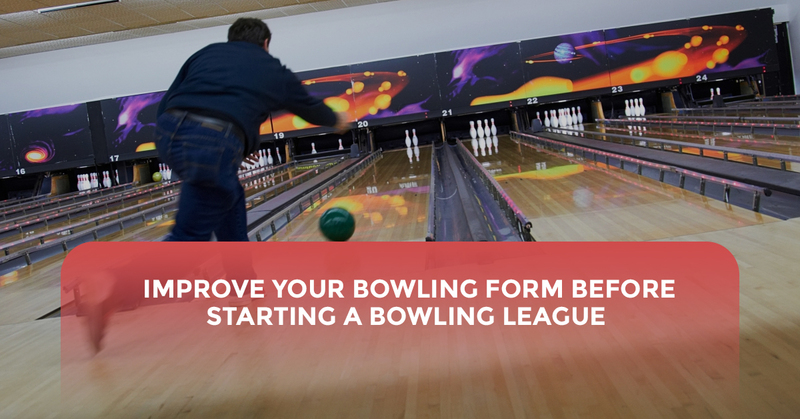 It’s really difficult to condense useful bowling pointers into one blog post, but hopefully, this information gives you enough to guide your practice as your prepare for a new bowling league at our Albuquerque ten pin bowling center.